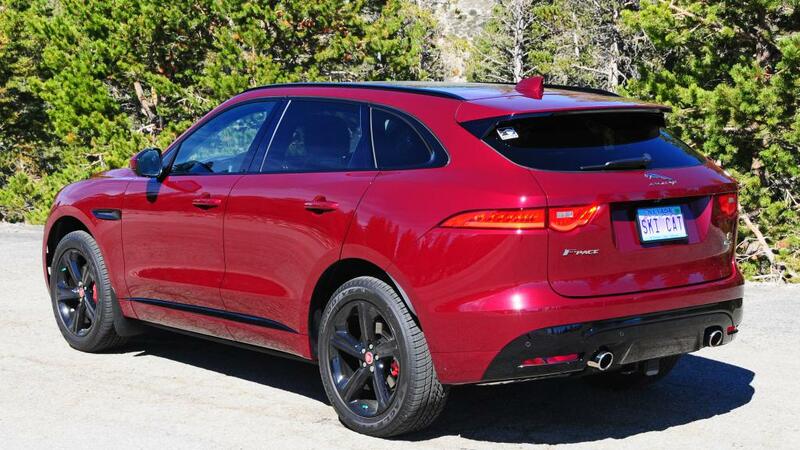 Just wanted to say hello and see if there are any other F-Pace owners in the Lake Tahoe, Carson City, Reno area on here? There is at least one other in the Tahoe area (I think)..NVDesertRat. I'm sure he'll pop in and say hello eventually! NVDesertrat and Lew L like this. Welcome to the Forum Growler. I'm located just north of the Mt. Rose Hwy below Arrowcreek in south suburban Reno. What are your specs and can we see a photo? GRVR, NewToCats, Gorgon and 1 others like this. 9/16 Delivery, Vin 075***, Odyssey Red S, Black Pack, 20" Blade 5 spoke/Goodyear A/S, Verde 20" Saga BLk/Pirelli Winters, Brogue/Taurus, Meshed Aluminum, Light Oyster Morzine, C & C, Tech, HUD, Retractable Steps, Tow Hitch, Roof Rails, Ski Rack, Rubber mats in cab/luggage compartment, Luggage Rails and Retention Kit, Bumper Protector, Thule Flow cargo box ....Steep N' Deep! *SHOW OFF* !!! You could of just said *Hello* !!! NVDesertrat and ctufieldops like this. Hello from the mountians above Reno. We have the Caesium blue f Pace S, and love it. My wife wanted BRG ( British Racing Green ) but it just looked too black. Big rims and edgy interior. VZX-CO and NVDesertrat like this.
" Faster horses, younger women, older wiskey, more money"
Hello from the mountains above Reno. We have the Caesium blue f Pace S, and love it. My wife wanted BRG ( British Racing Green ) but it just looked too black. Big rims and edgy interior. Back at cha Lew! Sounds like you're a Tahoean. Great snowpack this year, hope you're enjoying it and have hired help plowing your snow.